Agreements have been entered into with the University of Turin, the University of Eastern Piedmont and the International University College of Turin. These connections enable teachers, researchers and students to better access resources and Institute documents. 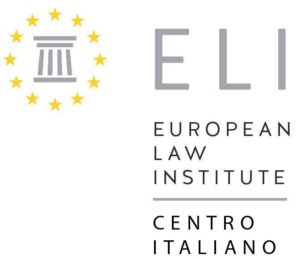 An agreement has been concluded with the Piedmont Region with the purpose of organising training courses for officials on EU Law and issues related to European integration. An agreement was been signed with the Piedmont Regional Council to provide the publication of a newsletter on the EU activities (“Euroregione”) (1984-2013). In November 2013 an agreement protocol has been signed to foster a Summer School in Turin on social inclusion, European governance and international relations. The Summer School take advantage of the joint efforts of: University of Turin, IUSE, ITC-ILO, UNICRI, ETF. An agreement with the University of Turin enables students and graduates of the faculty the opportunity to participate in training courses at the Institute (Job Placement). An agreement has been signed to host the Institute’s offices at the University Campus (Campus Luigi Einaudi, Lungo Dora Siena 100). On 3 October 2013 an agreement has been signed Università di Torino, Compagnia di San Paolo, Istituto Universitario di Studi Europei and Fondazione Centro Studi sul Federalismo to establish the Biblioteca Europea “Gianni Merlini” at the University Campus (Campus Luigi Einaudi, Lungo Dora Siena 100). 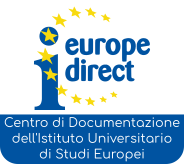 The European Documentation Centre has renewed an agreement with the Director General of Communications of the European Union to define the rights and mutual obligations of the organisation and operation of the Documentation Centre. An agreement has been concluded between the Institute’s library and other libraries that are part of the BESS (Piedmont Commerce and Social Sciences Electronic Library) collective. Other agreements have been signed with many entities (organisations, companies, law firms). These agreements provide students with opportunities to participate in training courses and receive guidance in the area of postgraduate study.